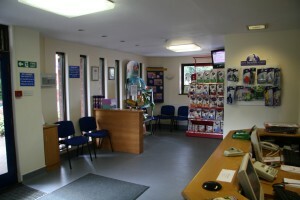 We will do our best to accommodate your choice of veterinary surgeon, date and time of appointment. We’ve tried to make sure that there is always a time that’s convenient for you to come in – with plenty of evening surgeries and weekend opening hours and now open late nights on Monday and Sunday mornings. Our team of veterinary nurses also run appointments for nail clipping, microchipping, puppy and kitten clinics, obesity and diabetic clinics and geriatric clinics.They are also avalable for telephone advice. If you are disabled or require assistance to bring your pet into or out of the surgery please inform reception and a member of staff will be on hand to assist you. Our practice is wheelchair friendly. Referral appointments are accepted from practices all over the West Midlands including our own. Appointments are arranged in the first instance by your own veterinary surgeon. Cases are then passed back to your own veterinary surgeon for follow up management.